This page has a Siteground web hosting review based on personal experience and information from across the Internet. This company may be of interest to those seeking cheap hosting for small business websites through to cloud or reseller accounts, and specialist packages for WordPress or e-commerce platforms, such as Magento. 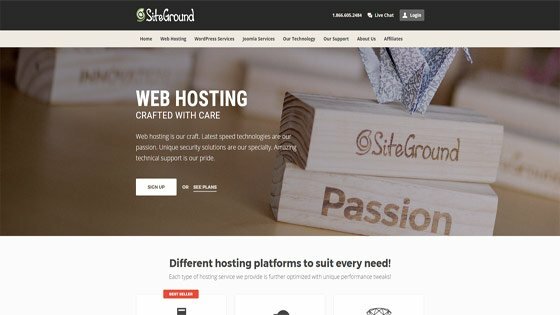 My experience to date with Siteground hosting has been excellent to date in terms of skilled customer support, range of options and value for money. As I look after the websites of several clients, as well as my own, I found Siteground when looking for a host with UK-based servers. This company have data centres based in London, but also Chicago in the US, and Singapore. I was given the choice of which data centre to base the Cloud hosting account I set up, and chose UK, but it’s great to know that for my international clients, USA is available to better cater for North America – and Singapore for the Asia-Pacific region – in terms of the potential page load speed and SEO advantages. One of the things that lured me to Siteground above other hosting providers was the free SSL certificate. As Google now sees site security as an important ranking signal and has publicly stated that its Chrome browse will in time display a warning in the address bar of ALL non-HTTPS websites, SSL certificates are now a key consideration when building websites for myself or my clients. What then developed through 2016 was the availability of free SSL certificates with all sites hosted with Siteground web hosting via the open source Let’s Encrypt software. This can be activated with a 1-click install through your cPanel. 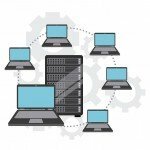 During the first couple of attempts at setting this up for WordPress sites, I was not entirely up to speed with making the site fully ready for HTTPS, and that’s where I found Siteground to offer some of the best web hosting technical support I have experienced in 15 years – the support staff are amazing! Both through live chats and raising a ticket, I have never had to wait for than a few minutes for a very clear, helpful response, advice for future reference and a no-fuss fix implemented for my issues. If you look around the web for Siteground hosting reviews, you’ll find tons of positive feedback for good reason. They are one of the best web hosting companies out there and are highly recommended. Address: 18 South Street, London W1K 1DG, UK.